Of course, the question that everyone wants to know the answer to is, ‘Was it a good year?’ and from the graph below, we can quickly see that for most respondents it was. 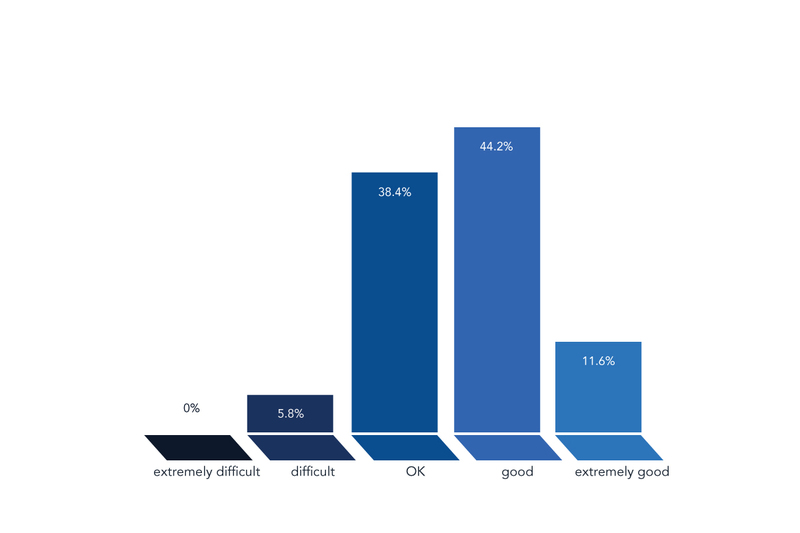 71.5% of businesses described their year as being ‘OK’ or ‘Good’. That is a little down on last year, but only by 2.5%, which is hardly statistically relevant. In fact, this graph has been basically the same shape for the last 3 years; a curve showing more businesses on the ‘Good’ side of ‘OK’ than the ‘Difficult’ one. Look back to 2012 and the trend leans the other way with most businesses having a hard time, but of course the UK economy in 2012 was very troubled and the summer weather was appalling. Which leads us to an interesting question. What does have the biggest influence on the wet leisure industry? What had the biggest influence on your business this year? We would all agree, the 2015 season started well in terms of the weather and we were all optimistic for a good year, and then the weather broke. In fact, over the course of the surveys, the weather has always been seen as having the biggest impact on the wet leisure industry. Where that point is really emphasised is in 2012 where we suffered both an economic downturn that threatened to put us back into recession and a particularly wet summer. 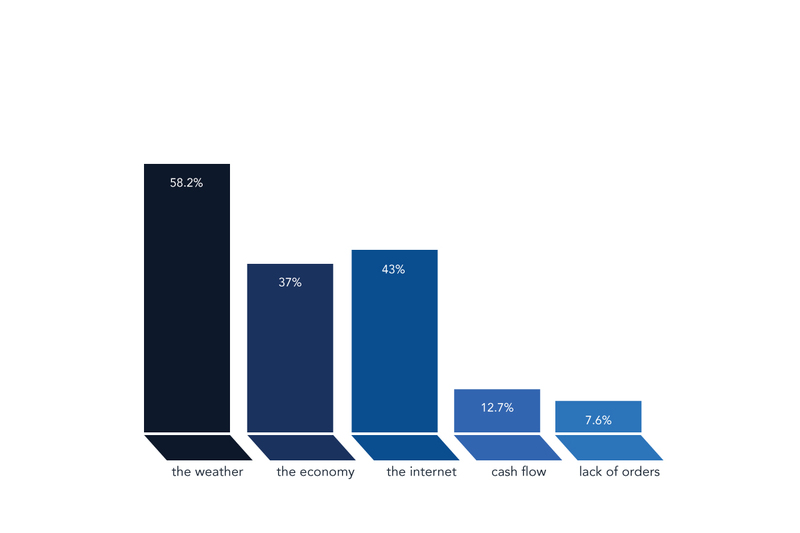 25% more businesses blamed the rain for their troubles than the economy. With almost 60% of the respondents saying that they were expecting next year to be Good or Extremely Good, this chart shows a very positive industry. Back in 2012, only 18% of respondents were as confident. The other trend over the last 5 years is that respondents expecting a difficult year ahead have dropped year on year from about 40% in 2011 to just 6% in 2015. There hasn’t really been a change in the economy, and certainly not in the weather, that can account for this continual increase in optimism. Perhaps as businesses diversify into sauna and steam, as they gather more of their income from regular service and maintenance contracts and as they make more of the advantage that modern marketing techniques can give them, they become better able to weather economic storms and actual ones. Whatever the reasons may be, it certainly is a good sign for the wet leisure industry in general. Respondents were also asked what they considered to be the biggest challenges that they would face in 2016 and whereas this list included the usual concerns about the weather, the economy and stiff price competition, there were also many of the challenges that a healthy and growing industry would expect to face. We would particularly like to thank, and applaud, the respondent who answered “Old age,” and in fact has done every year since the survey began.